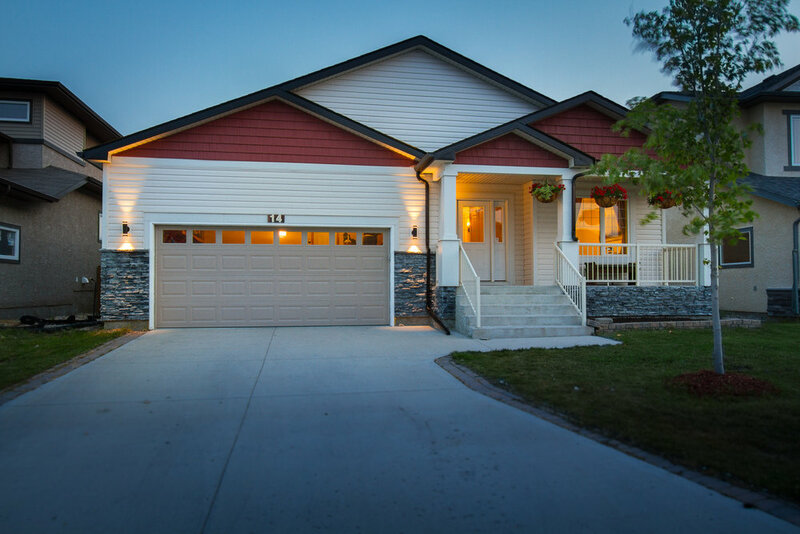 Welcome to this upscale bungalow on a deluxe street in Bridgwater Forest. This spacious 1552 sqft bungalow has 3 beds & 2 baths upstairs, and a massive undeveloped basement that would allow for another 2 beds and bath plus huge rec room. This is not an entry level home--the American walnut hardwood floors throughout main floor set the elegant tone that is carried through the entire home. 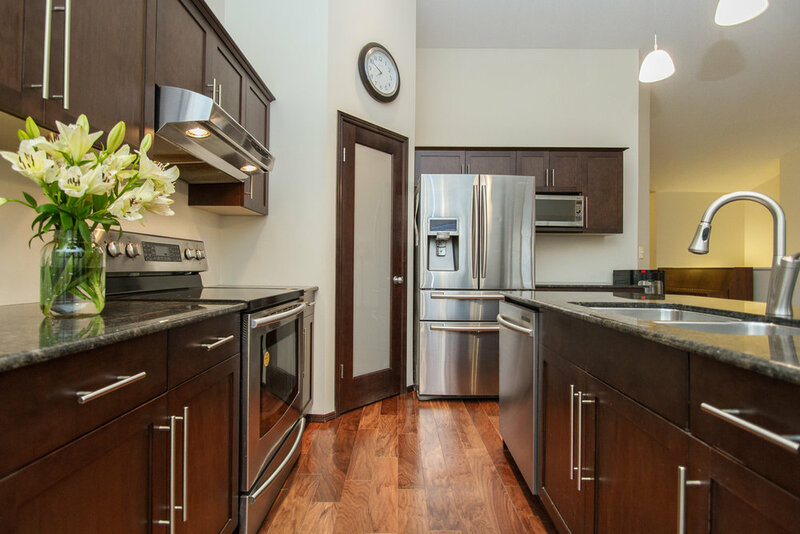 The massive open concept kitchen features stunning maple cabinetry, handpicked stone countertops, large island w under mounted sink, upgraded stainless steel appliances & side pantry! The adjacent dining room is bathed in sunlight from the massive siding doors leading to your 2-tier deck-- perfect for families and entertainers alike. The great room features vaulted ceilings w tiled gas fireplace & wood mantel, perfect for curling up on a cold winter night. Set on the preferred layout for a bungalow the principal bedroom, a large WIC & 4-piece bath is in one wing, and the other 2 bedrooms are on another wing with their own luxe 4-piece bath. Want more? The yard is fully fenced and landscaping is out-of-a-magazine nice with a garden that is already producing fresh produce, plus and included garden shed. 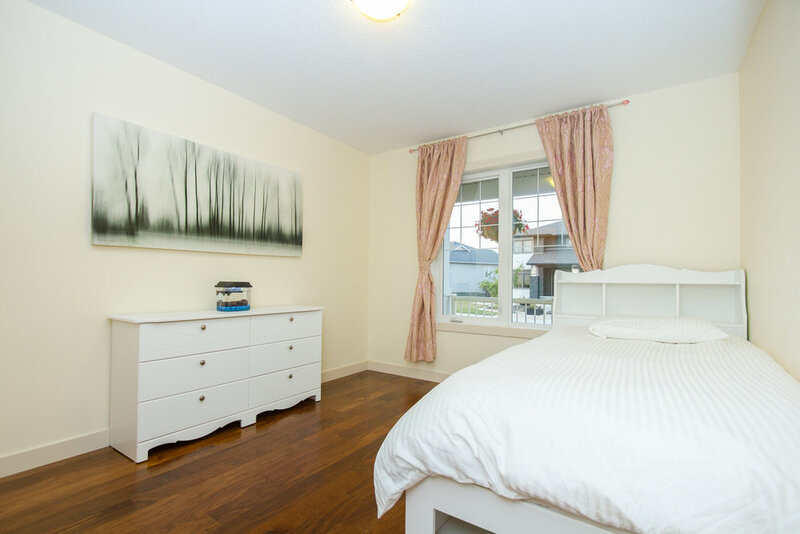 The home is also conveniently located within walking distance to the newly developed Bridgwater Centre, and the area is loaded with kids parks, bike trails, splash pads-- it’s hands down the best new development in the city! Lastly, the home was built on piles with steel beams--this will prove to be one on of the best buys under the 500K for 2017!